Take your vacation to the next level at Universal Orlando Resort™. Three amazing theme parks, including an incredible new water theme park, provide days of thrills and adventure beyond your imagination. 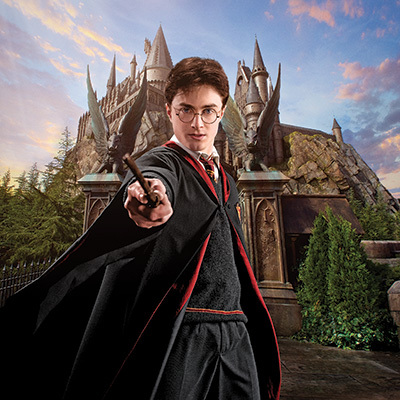 It’s the only place where you can experience the magic and excitement of The Wizarding World of Harry Potter™ at two parks, connected by the Hogwarts™ Express which you can ride* with a Park-to-Park admission ticket. Breathtaking on-site hotels put you right in the middle of it all. Plus, Universal CityWalk™ offers a dazzling variety of dining and entertainment options from early in the morning until the wee hours of the evening. It’s days and nights of endless fun for every member of the family. 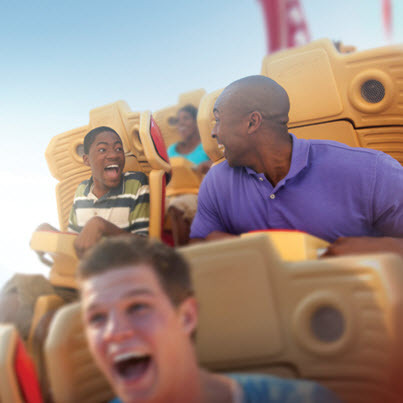 Vacation beyond anything you’ve experienced before at Universal Orlando Resort™. Immerse yourself in the next generation of blockbuster entertainment at Universal Studios™. You’ll enter The Wizarding World of Harry Potter™ - Diagon Alley™, encounter mischievous Minions, and join forces with the TRANSFORMERS as you find yourself right in the middle of the action. 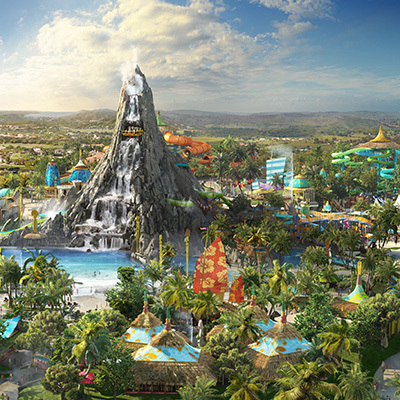 Live the carefree island life at Universal’s Volcano Bay™. It’s an all-new water theme park like no other filled with thrills, indulgence and rejuvenation. No standing in long lines, wrestling with tubes, or waiting for the fun to begin. It’s a tropical paradise just steps away from everything Universal Orlando Resort™ has to offer.